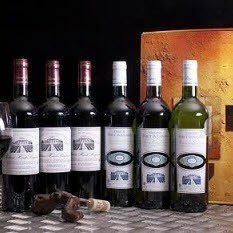 A case of six bottles of Bordeaux beautifully presented in a wine gift box. This gift is a must buy for someone who appreciates fine wine. 3 bottle of red wine Chateau Haut-Pougnan Bordeaux superieur 2009 and 3 bottle white wine of Chateau Haut-Pougnan Entre-Deux-Mers. A beautiful high quality wine gift. You can choose the wine either 3 red wine 3 white wine 6 red wine or 6 white wine .